Sears is known, as a department store for a variety of household needs. The items the company has can range from toys, electronics, tools, home appliances and even clothing. 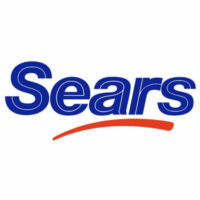 Sears is especially known for having a selection of household appliances that can range from washers and dryers to refrigerators. The company started way back in America during the 1880s. A man named Richard Sears who was a railroad agent in North Redwood Minnesota started the company from chance. On his spare time Richard would sell lumber and coal to local residents. One day he received a shipment of watches and sold them for a higher profit. This started the Sears watch company in 1886. The official name of Sears, which dates back to that time, is called Sears, Roebuck and Co. Roebuck was a man from Indiana who answered an ad from Sears asking for a watchmaker to furnish tools for watches. Roebuck was soon hired and Sears began to quickly grow as a company. Now the company is called the Sears Holding Corporation. Other than Sears, Roebuck Co. Sears Holding Corporation also has another subsidiary known as Kmart. Kmart is a mass-merchandising subsidiary that is part of the Shop Your Way experience where shoppers can earn points to receive benefits when purchasing merchandise. At Sears you can find a number of avenues to excel in. The industry has opportunities from field management to asset and loss prevention. Sears also values veterans greatly so if you have devoted time to the service you will find a number of great opportunities available to you. In retail you can find jobs in sales as an apparel associate or you could work in consulting customers and informing them on key products such as jewelry, home improvement and home appliances. Since most of the jobs in retail are in sales you will more than likely find your success on commission. If you have great charisma then these jobs are for you. At the corporate level you can work as an accountant or in analytics. Most jobs at the corporate level require a college degree or related experience from a former job. At the corporate level Sears also gives out a number of benefits for their employees. Sears has a number of benefits that greatly assist veterans. In 2005 Sears holdings was awarded the Department of Defense Freedom Award for recognizing employees for serving in the armed forces. In addition the company was also awarded the Military Officers Association of Americas Distinguished Service Award. When military members who are part of the reserve are deployed they can still receive life insurance, medical and dental programs. How old do you have to be to work at Sears? At the time of filling out a Sears job application online you must be at the age of 18. Some jobs at the corporate level must require that you are of the age of 21 while applying for a Sears job or Sears career. Backroom Associate – These individuals are responsible for all the handling of merchandise. This includes the staging and preparation of merchandise from outbound shipments. Also responsible for maintaining an organized and safe working environment for other coworkers in the stockroom; associates typically make $8/hr. Cashier – This job is responsible for all point of sale transactions. Must be able to execute basic mathematical skills. People in this position must also be able to guide the customer thorough the transaction in a pleasant and accurate manner. Cashiers usually make $8/hr. Office Associate – These associates supports all store operations. Store operations can cover a variety of activities such as data entry and payroll processing. Duties also include filing delivery reports and tracking attendance. This positions pays around $15/hr. Loss Prevention Associate – These individuals ensure that merchandise in the store is not subject to theft of illegal activities. This includes the monitoring of surveillance equipment and suspicious activity in the store. In this position you can expect to earn $10/hr. Apparel Associate – This position requires strong social skills. Employees in this position are expected to help with customers needs when purchasing merchandise in the apparel section of the store. Must be able to keep track of sales and the location of specific merchandise in the area. Pay can be up to $9/hr. plus commission. Tell me about yourself and what made you choose to apply at Sears – With this question the employer wants to know if your ambitions line up with your job or career choice. This is usually because if your ambitions are in line with your job you generally will excel more than if you were applying for a job that was not in line with your career goals. Answer truthfully and explain who you are. Being open and relaxed can help an interview greatly. Tell me about a time you had to make a decision when you didn’t have enough information – Employers want to see if you have any critical thinking skills. Explain how some decisions must be made even when not enough information is available. Most of the time you generally can never have enough information. Talk about how being able to think in complex situations even when the information seems apparent is crucial to being careful and exact in a work environment. Do you like to work? – Do not try to impress your interviewer by saying yes. Most people do not really enjoy work. Try to say that you enjoy making work an enjoyable place to work at. Most of the time we make with what we have and working with a great attitude is what makes work enjoyable. Tell me about a time you were asked to preform a difficult task and what was the outcome? – Usually when you do a difficult task the outcome is not satisfactory because it was difficult. Explain that difficult tasks are a chance for improvement and learning. Even though the outcome may not be the greatest the greatest outcome can be from learning by experience. You can find a Sears job application online by following the attached link below. A Sears’s application is generally easy to follow and will require you to fill out your personal information with a series of preliminary questions aimed at determining your work ethic. Ensure that when you apply for a job at Sears that you also make a printable application. It would help that having a copy other than an online application for records in the case that the online application is lost. All applications are free applications for Sears careers. It may also help to print out your resume and go to your local Sears. By giving your resume in person it shows a proactive attitude and a willingness to work. This could also open the door for unexpected job opportunities you may not have seen on your local sears job listings. Other than making a printable application, ensure that you have a download application form as this can help if your online application is lost. Applying to a Sears location that is closest to you will also help in the application process because it will be easier to arrive at the interview or work on time.